Yesterday in WA was a public holiday for the Queen's Birthday so hubby had the day off work. This should have been our annual trip to the Royal Show, but the thought of it was just not grabbing us this year. So we went for a day trip to Fremantle instead. The weather was superb! These prawns were delish, by the way! And then we made our way home, back up the coast road. 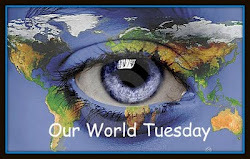 Joining up with Our World Tuesday to see some other pretty places in the world! did you go up the ferris wheel? I watch the MKR, and love it. Looks like the perfect day, Wendy. Just the right amount of everything. Hope you bought a pair of those red spangly shoes!! 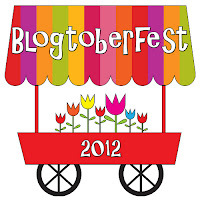 Thanks for sharing the Blogtoberfest12 love. I went to Freo on Monday as well, it was a lovely day for it indeed! Got some yummy fruit and veggies from the market, had a massage, had a look at some dresses for a upcoming weddings I'm attending. So nice to just wander aimlessly.